Aston Palicte faced his toughest opponent to date Friday and dismantled him. The Bago City, Philippines prospect stopped Jose Alfredo Rodriguez in the fifth round of an entertaining main event on a Roy Jones Jr. Boxing Promotions card on beIN Sports in Round Rock, Texas. Palicte (24-2, 20 KO's), 26, hurt Rodriguez with a beautiful counter uppercut on the chin in the fifth round. The former world champion sensed he was in trouble and retreated to the far corner. Before Palicte could land another hard shot, Rodriguez took a knee, and referee Mark Calo-oy stopped the fight. 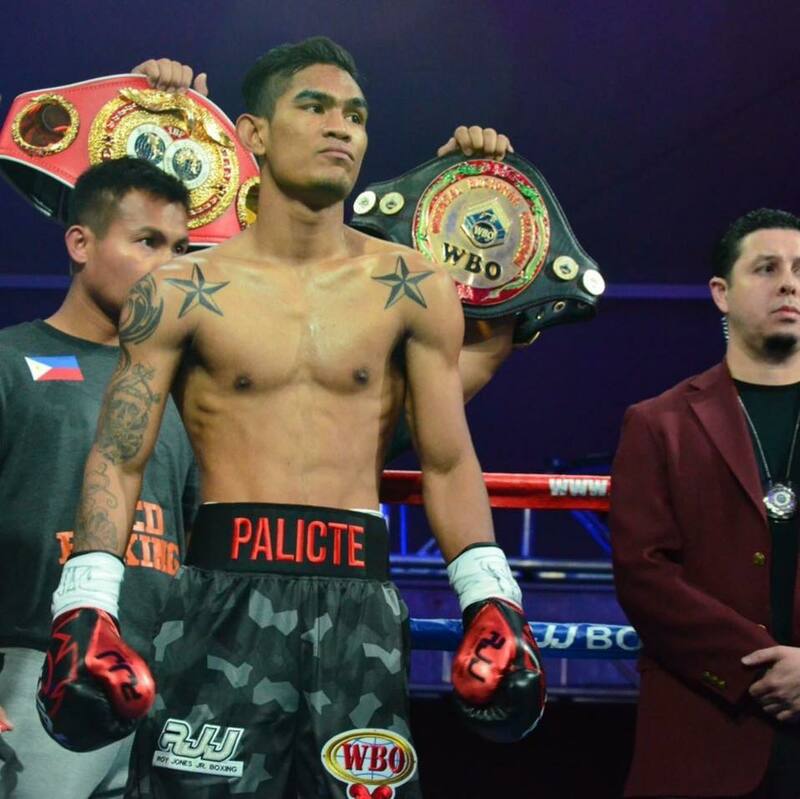 Palicte is expected to face undefeated WBO International super flyweight champion Rex "The Wonder Kid" Tso (22-0, 13 KO's), 30, of China, in a WBO title eliminator in early 2018. Tso is coming off a technical decision victory over Japanese journeyman Kohei Kono in October. Naoya Inoue (14-0, 12 KO's), 24, of Japan, the WBO world champion and FightNights No. 4 pound-for-pound fighter in the world, is defending his belt on Dec. 30 in Yokohama against French bantamweight champion Yon Boyeaux. "Eliminator, then Inoue," Palicte said of his plans. In the first round, Palicte knocked Rodriguez back with an overhand right and split the guard with a straight right down the middle. The Filipino also exemplified good defensive skills by using his head movement to avoid Rodriguez's wild shots. Palicte landed with a lead left hook to open the second round and another straight right hand, while Rodriguez connected with a counter uppercut on the inside, but it didn't seem to bother Palicte. In the third round, Palicte gave Rodriguez a boxing lesson. He knocked him back with a straight right hand to the head, solid straight right hands to the body, and snapped his head back with the jab. The volume of punches landing was beginning to break Rodriguez down. A counter left hook hurt Rodriguez in the fourth. However, both fighters' heads came together, which caused a brief break in the action. But Palicte went right back to business, cutting the ring off effectively, and keeping Rodriguez at bay with the jab, and the straight right hand. Rodriguez (32-7, 19 KO's), 28, has now lost seven of his last 10 fights, including four by knockout. He previously fought in two world title bouts, losing both to super flyweight titleholder Jerwin Ancajas and flyweight titlist Kazuto Ioka. The beIN Sports broadcast generated roughly 1.4 million viewers around the world.